Kesari has done well in its extended 8 day week. The film started quite well on the partial holiday of Holi and then sustained itself over rest of the weekend. There was a dip in numbers on Monday when ideally a double digit score would have been apt. However, post that the film was really stable right through the week which has given indications of a well accepted film. So far, the Akshay Kumar starrer has collected 105.86 crore and now it is all about the run that it has over the second weekend. It would be expected that over 20 crore get added to its total before the start of the weekdays. Once that happens, a lifetime in excess of 150 crore is on the cards. The Anurag Singh directed film carries the kind of merits that actually warrants a 200 crore total. 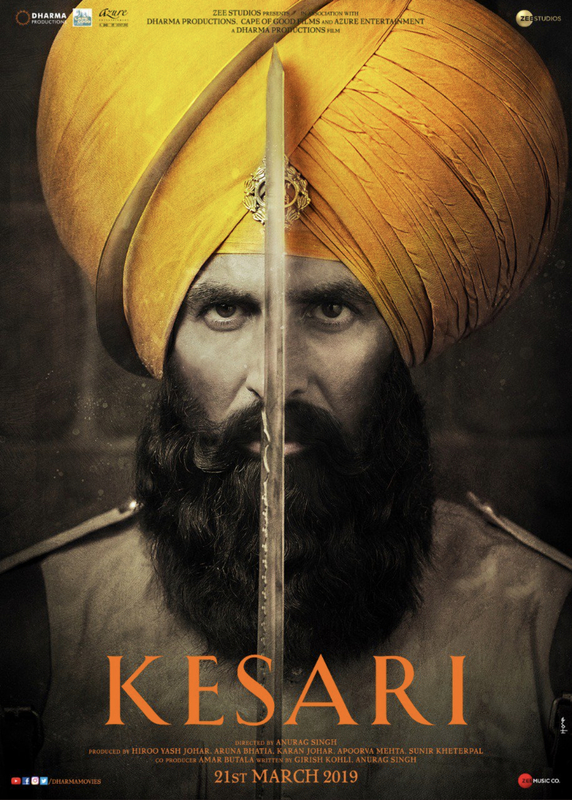 While that’s not the kind of distance that Kesari would carry, it would find good traction and sustained eyeballs when it arrives in the satellite and digital medium a few weeks from now. The film is on way to be become a clear hit as the competition this week is not really there. Moreover, the film has retained a good number of shows which demonstrates the kind of confidence that exhibitors have in expected footfalls.